Lakshmi Ganesha Idols - Before we commence our festivities, we offer our prayers to Lord Ganesha and Goddess Lakshmi and seek their blessings. 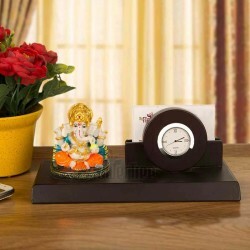 Send Lakshmi Ganesh idols to your near and dear ones online from MyFlowerTree and make them feel blessed. Let the almighty shower their blessing on your friends and family this Diwali. Diwali is not just about firing the crackers, eating sweets, making rangolis and exchanging gifts. Pooja is one the most important parts of Diwali celebrations and is performed in every household before they commence any festivity. We all seek blessings from Lord Ganesha and Goddess Lakshmi before we do anything on this day. 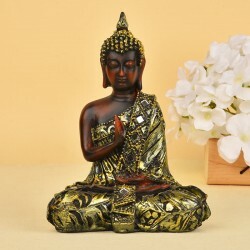 Offering pooja to Diwali Gods is imperative and for that, we search the market for that the whole world to get the most beautiful puja idols. 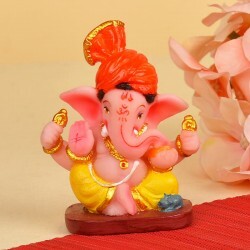 If you know someone who is excited about Diwali pooja but hasn't got the time to go out and buy Diwali idols, we suggest that you order a beautiful set of Lakshmi Ganesha idols for them and make them feel blessed. 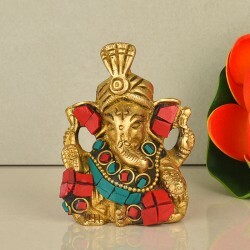 You can buy Lakshmi Ganesh idols online for your friends and family members online and give them the best surprise on Diwali. 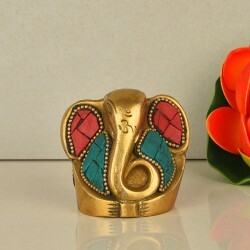 We have colourful ceramic idols and authentic metal idols as well. 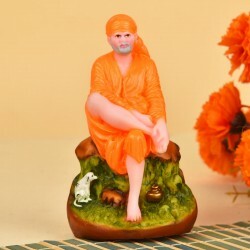 So, be the one with the best surprise for your loved ones by ordering our Diwali God idols for the loved ones. If there is one thing that absolutely has to follow the Diwali puja statues then, it is a special Diwali pooja ki thali. Order a special pooja ki thali for your busy buddies who want to celebrate this beautiful festival with authenticity but haven't got enough time to go to the market and get everything. 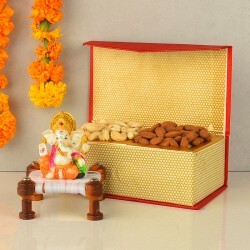 Along with Diwali Laxmi Ganesh Gifts, you can order pooja ki thali for them as well. Make this Diwali authentic for them. Lighting candles and diyas on the occasion of Diwali is a must. You will find various houses decorated with different types of candles and diyas from the top to the bottom. Candles and diyas spread their light everywhere around and form a pathway for the Lord Ganesha and Goddess Lakshmi to see your house. 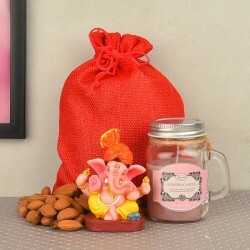 Gifting candles and diyas is considered to be auspicious as well. 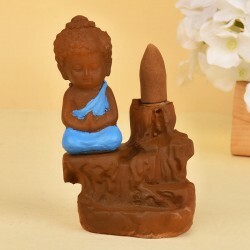 So, get up and click on the screen to order some amazing candles and diyas for your loved ones. 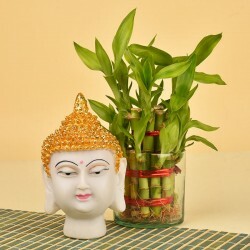 From the ethnic candles to the modern ones, we have everything for your loved ones right there in our store with us. We have many scented candles in the fragrances like orange, pineapple, blueberry, strawberry and more along with different pillar candles. Same goes for the diyas. From a pack or 4 small diyas to a big one, we have everything that one can need. Order these candles and diyas online for your friends and family members and greet them with the light of happiness on this Diwali. Friends and family live a little far away from you? Don't worry as you can still surprise them with the best Diwali idols. 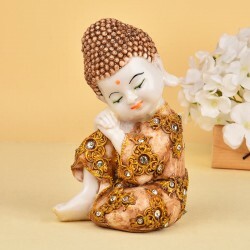 Send Diwali idols online to your loved ones living in a different state or even in a different country with our special online delivery services in India and abroad. Products in this category have been rated 4.7 out of 5 based on 144 reviews.